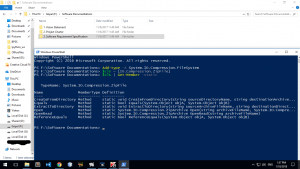 shirishweb – Your right place for "Right to Know"
PowerShell is a task automation and configuration management framework from Microsoft, consisting of a command-line shell and associated scripting language. 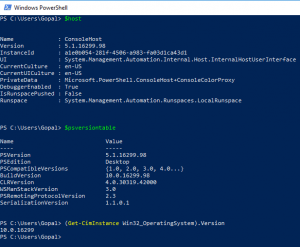 PowerShell is a very powerful tool for automating various windows tasks. 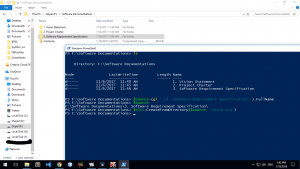 Here we will learn to use powerShell as a commandline tool for creating archives (zip) files from folder containing files. I have a folder structure as follows. I have a folder called Software Documentations with contains 7 files. 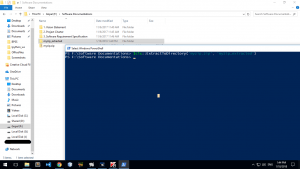 Using the explorer address bar, we can start a new powershell session using this current directory. We can see that we have methods “CreateFromDirectory” and “ExtractToDirectory” which we are interested on. Yes, we verified we have a our zip file “myzip.zip” in the same directory. And we can see that it worked and created myzip_extracted folder and put all my files from the zipped archive to this folder. Django is a free and open-source web framework, written in Python, which follows the model-view-template architectural pattern. Djproject is the main Django project folder containing the import wsgi file, settings, urls. Djapp is my Django app and venv is python virtual environment folder where needed python packages and gunicorn is installed. Now we’ll create a system service that can manage above gunicorn process. Our service is dependent on network.target. We are using ‘gopal’ and ‘www-data’ as linux os user and group to serve our app. WorkingDirectory is pointed to our project directory. ExecStart is a command line that will execute on service run. Here we have started our gunicorn process with 3 workers that will serve dproject through unix socket file. Many times, we may encounter certain errors within the application showing some strange errors with network issues. Like XAMPP showing error when apache is started complaining that the port is already in use. In such case, we need to find which service/program is using the port and reconfigure the application/service as per the requirement. Today I will be showing how to hunt for such process using the powershell in windows system step by step. Lets hunt for process holding the network port 80. It shows that the process with PID 4088 is holding that port. Voila, we have hunted the process we are looking for. Now we know that port 80 is used by process httpd.exe. Webmin is a free system administrator’s tool which gives the admin the direct configuration of the linux system through web. Thus eliminating the hard-to-remember linux commands. Actually this tool can be used for quick modifications on the linux system like setup user accounts, Apache, DNS, file sharing and much more. If you don’t know the exact commands to configure any aspects of the linux command line system, webmin is your tool. “Find” command searches all the files and directories inside directory that matches the given criteria like name, size, ownership, permission etc. d) That have 100 characters in it. Furthermore, three logical characters can be used to create more filtered search expression for the find query command.